Notes from Nature is super pleased to introduce something that our citizen scientist transcribers have wanted forever – a ditto function! What does the ditto function do? Simply put: You can access and select your last few entries that you made nearly instantaneously. Yeah, Notes from Nature now “remembers” your entries! This means less scrolling through long “pick lists” (we hope). On the downside, we have only implemented it – so far – in CalBug. We hope to have this working in other interfaces as soon as is possible and we’ll, of course, keep you posted via the blog. So here are more details about this new function. To access your last 5 entries, you just need to click Control-M while on any field. When you do hit Ctrl-M, it pulls up those past entries and you can select and click any of those entries and, voila, you have finished that field. 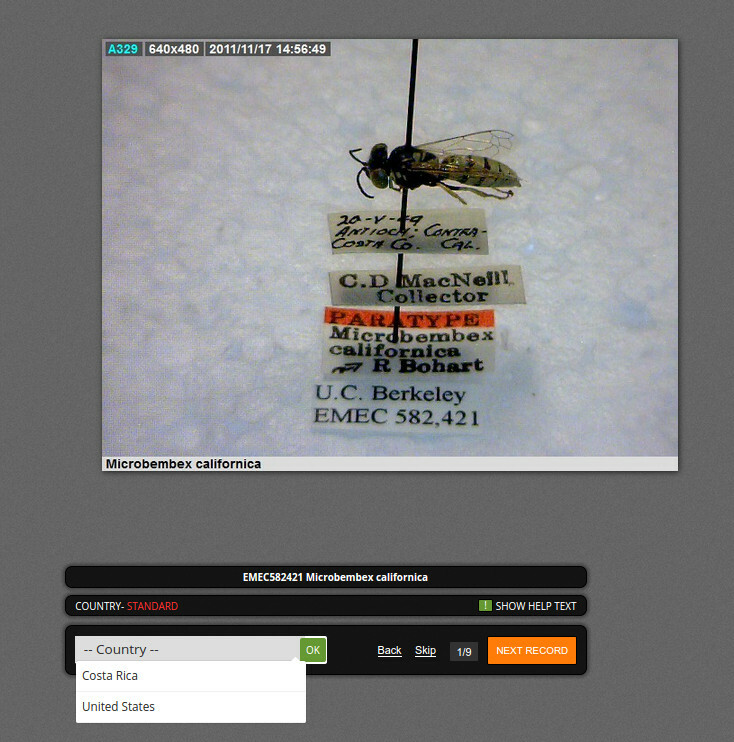 For CalBug, where there are a lot of records from the USA, and from California, being able to quickly select those from record to record should make for more speedy transcribing. But let us know what you think! We hope it is a major improvement. The ditto function was the work of Lisa Larson, who is a web developer and project leader at Cornell Ornithology Lab, and who attended our first Citizen Science hackathon back in December 2013. She has been great about seeing through this fantastic idea that came from a team focusing on how to improve public participation. So, to reiterate, in CalBug, clicking Ctrl-M will help you “remember” the entries you have made earlier, and speed ability to “click through” commonly used entries. You can always access the “help text” for further reminding. Finally, if you are using a small screen, you might not have a lot of room at the bottom of the screen for the ditto function entries to show up. You might want to move the transcription tool (you can drag the main part of the tool wherever you like on the canvas) or otherwise increase screen real-estate.